Last month US Vice President Mike Pence announced in Indonesia that President Donald Trump would attend the US-ASEAN Summit and East Asia Summit (EAS) in the Philippines and the Asia-Pacific Economic Cooperation (APEC) forum in Vietnam this November. This should come as welcome news to doubters of sustained US commitment to Southeast Asia, or those who fear a full-scale withdrawal from the region in favour of a 'spheres of influence' world order. As Aaron Connelly notes, Trump's diplomatic visits comes with contingent risks. The President has vocalised his disregard for multilateralism and repeatedly touted his 'America first' mantra. His proclivity to buck the status quo, especially when it comes to the Obama legacy, scores points with his domestic base. But attendant anxieties about Trump's presence at the APEC and EAS summits miss the larger picture – the absence of the President would speak louder and be more detrimental to US interests than his presence. There are three reasons for this. First, the Woody Allen refrain that 80% of success is just showing up holds especially true in Southeast Asia, where symbolism goes a long way. Obama scored a great deal of reputational points by visiting nine of ten ASEAN member states during his tenure (in contrast, George W Bush and Bill Clinton each visited only five). Despite attracting criticism for its shortcomings, the 'Pivot to Asia' was widely popular in the region (with the notable exception of China). Trump's early withdrawal from the Trans-Pacific Partnership and preoccupation with foreign policy crises such as Syria and international terrorism have fuelled perceptions of diminishing US relevance in Asia. Travelling to APEC and EAS in November would go a long way toward restoring credibility of US staying power in the region – this year being the 40th anniversary of US-ASEAN relations marks a particularly propitious opportunity to do so. 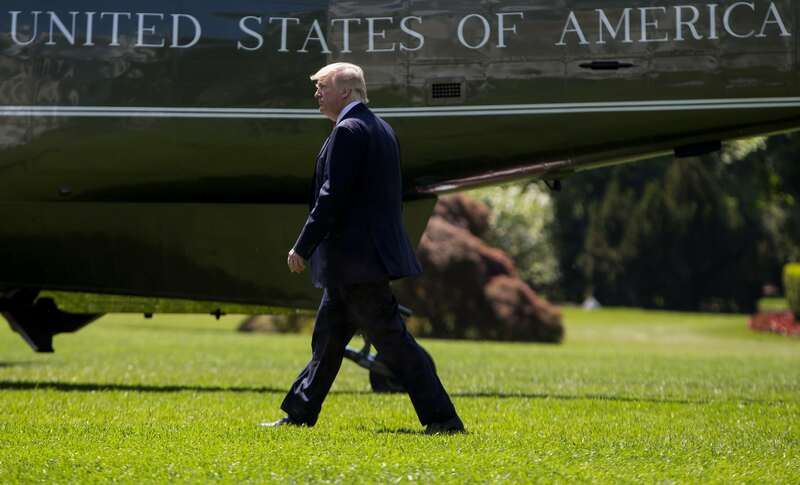 As De La Salle University's Richard Heydarian told me via email, 'expectations are so low that all Trump has to do is slightly stick to the script and trust and confidence in the US will likely experience an immediate bump'. Finally, early indications show that the real drivers of US policy on Asia are at the cabinet level and in Trump's National Security Council. While President Trump has been learning on the job in his first 100 days he has relied on a wealth of foreign policy experience provided by the likes of Secretary of Defense James Mattis and National Security Adviser HR McMaster. Senior Director for Asia at the National Security Council Matt Pottinger brings much-needed regional expertise to the White House's Asia team – Pottinger is believed to be the architect behind Trump's policy of 'massive pressure and engagement' with regards to North Korea. Trump's son-in-law Jared Kushner played a large role in organising the Trump-Xi meeting at Mar-a-Lago last month. Kushner is also partially credited with Trump's reversal on the 'One China' policy, an essential precondition to that summit. All of this points to effective players shaping the contours of US strategy on Asia behind Oval Office curtains. Beijing recognises this fact and has made efforts to cultivate go-betweens. Regional leaders know to take the bluster of Trump's initial policy statements with a heaping of salt and await more nuanced follow-up from his senior staff. Despite fears that Trump may harm US interests by misspeaking (or mistweeting) in Manila or Hanoi, whatever comes of the trip will carry more symbolic weight than policy ramifications. It will be an essential signal that the US recognises Southeast Asia's strategic importance – this is not an opportunity the President should squander.